Here are just a few stories from our members: congratulations on your successes, and keep up the great work! First, above all, I’d like to thank The Alaska Club for providing me with the wonderful opportunity, to not only reach my fitness goals, but the opportunity to win such an awesome prize. Two years ago I joined Alaska Club because I knew that I would soon be getting trained in a bulldozer at my job at Fort Knox. Currently there aren’t any female bulldozer operators and there hasn’t been for some time. I knew I needed to get in shape so I wouldn’t suffer an injury, causing me and any women in the future, to miss out on the privilege of running support and loading equipment. That’s when I hired Tara as my personal trainer, and it was the best money I ever spent. She immediately started working on my balance, which I had no idea how little I had not to mention helping me develop a strong core. I truly believe I wouldn’t have continued at the gym and would have very well passed up running the dozer if it had not been for her encouragement and awesome work out plans. After my contract was up with Tara, I kept at the gym, but wasn’t quite where I wanted to be fitness wise. I never quite liked how I looked in pictures, or how my clothes fit. My boyfriend and I had returned from seeing the McGregor/Khabib fight, where I OVER indulged, and I hadn’t been to the gym in two weeks, when Tara contacted me and asked if I wanted to participate in this contest. It was perfect timing. It all comes back to two things: diet and exercise. Tara had recently competed in the bikini body building competition so I asked her to send me her diet she used while training, which is the 12 week bikini competition diet. To put mildly, it’s bland. I ate portion controlled meals five times a day - meal prepping drove me crazy! Once I had it down though, it was easier because I always had my prepped food with me. I also had a plan on where I could purchase acceptable foods on the run. If I didn’t plan ahead I knew I was setting myself up for hunger or failure. If my girlfriends wanted to go to lunch, I made sure it was a place that had a “lighter side” option, and I mentally prepared myself for Thanksgiving and parties where I knew there’d be temptation. As far as exercise goes, I stuck with building muscle to burn fat. No matter where you build muscle the fat comes off everywhere. I started lifting free weights with two male friends from work, one who is very knowledgeable in body building and fitness. I quickly realized I was seeing the best and fastest results in my upper body, so I made that my primary focus. I would end each session by doing a burn out with planks, side planks, planks, side planks, planks, planks, planks – you get it! I’ve always avoided planks like the plague, now, I love them! The easier they got-the more I increased my plank time. If you hate the exercise-then that’s the one you should be doing. Your technique instead of heavier weight. ALWAYS finish the reps, even if you drop down to 5lb weights, then 3lb weights… then let your muscles rest one minute between sets. When I felt fed up, I would think of Tara. I’m still in awe of how this woman has five children, one of which is special needs, and a husband who would be training and deploying with the military nonstop. She did this diet for FOUR months while training for a body building competition. She will never know how much strength I drew from her. She inspired me to put aside my excuses and believe in myself. I have been making big financial plans for years, I now know 2019 is the year it’s going to take off. This experience has showed me I can dig deeper than I ever imagined and have more discipline and self-control then I ever thought possible. I won’t lie, it was very mentally and emotionally difficult at times. I received support where I never expected, but I also was hurt and ridiculed by people I thought I could lean on. I’m going to continue with my training and keep this new relationship I have with food. My mind is clearer, I’m sharper, and I’m in control of my actions and emotions. At age 44 I can say I really like myself and I’m proud of myself. I’m excited for my future and am eternally grateful to my parents for teaching me the importance of a strong work ethic, and most importantly to my father for never letting me be a quitter. Set your goal, get an achievable game plan together, and stick to it! You WILL succeed. 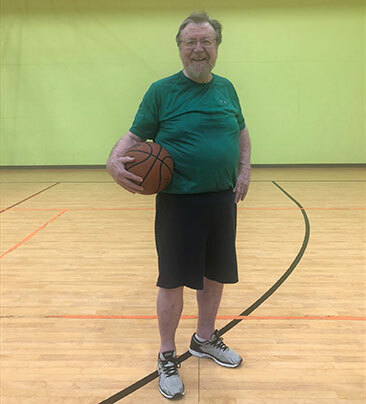 Jim has been a member for about 4 years and every morning he shoots 200 baskets a day, 100 free throws, and 100 foul shots. 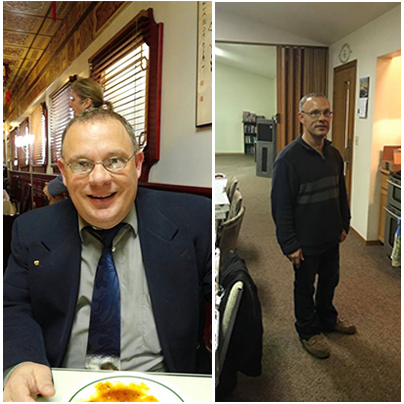 Jim started this routine in January 2014 and since then he has lost 220 pounds. Jim is 70 years old, which you’d never know by looking at him. His primary care doctor said that his losing the weight and his workout routine combined, has extended his life by 20 years! He wanted to share his story with others because he believes that at 70 years old, if he can do it, anyone can. 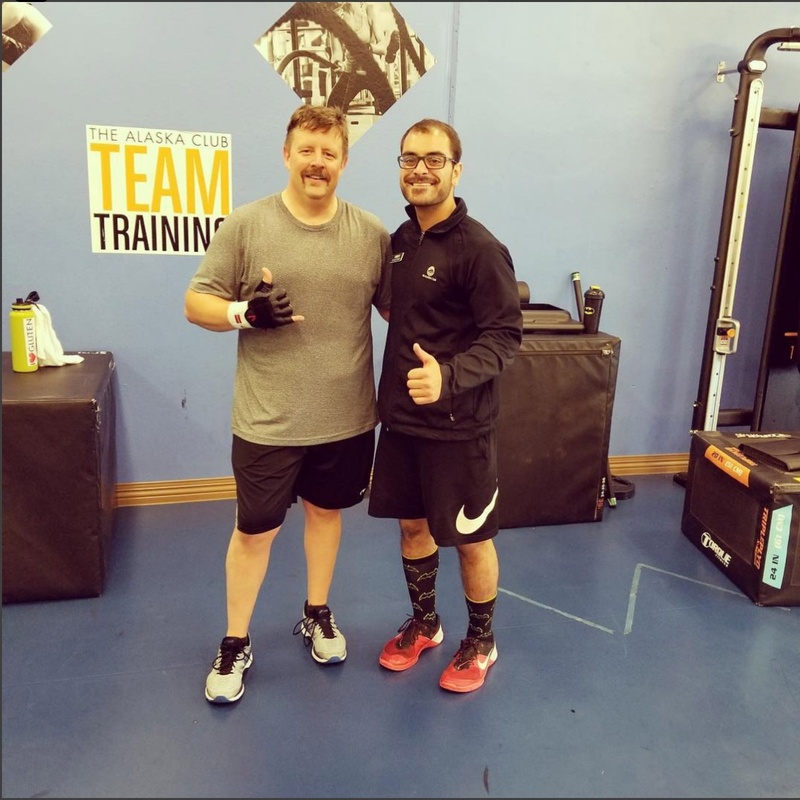 I began working with Zach in April 2018 and my primary goal was to maintain my weight loss and improve my overall strength. 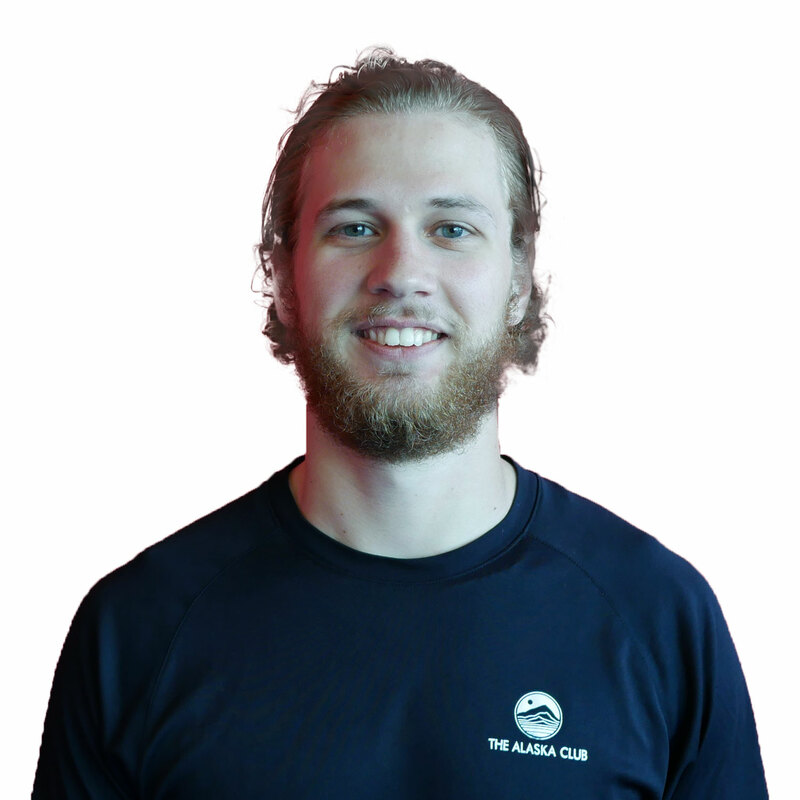 Working with Zach twice a week and also attending AK Club Team Training has played an intricate roll in reaching my fitness goals. Zach designed a specific program for me to follow and has been a pleasant to work with each session. I have improved my overall strength tremendously. I am able to bench and squat more than I ever have. My posture has improved and clothes fit wonderful. Zach is always on time, pleasant and prepared for my session. His coaching style is great at helping me to perform each exercise correctly for the maximum benefit. I always feeling the workout is challenging but never unattainable. I recommend Zach Ferntheil to anyone who is interested in having a conscientious personal trainer to build their overall strength performance. 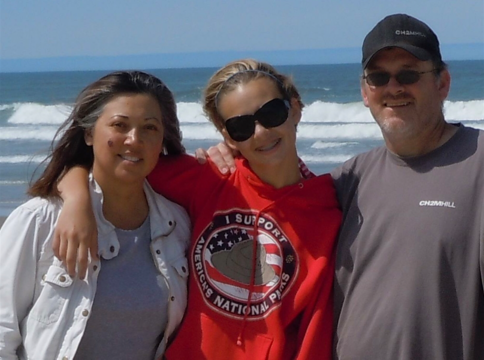 Over the years, Alaska Club has provided so much for our family. Child Care at the Boniface/Muldoon location to the point our daughter did not want to go home. She had so much fun and the staff was beyond wonderful. I also took tennis lessons and entered tennis tournaments; one year during a double tournament, we took first place. Pretty awesome, I would say. Great staff, great instructors! 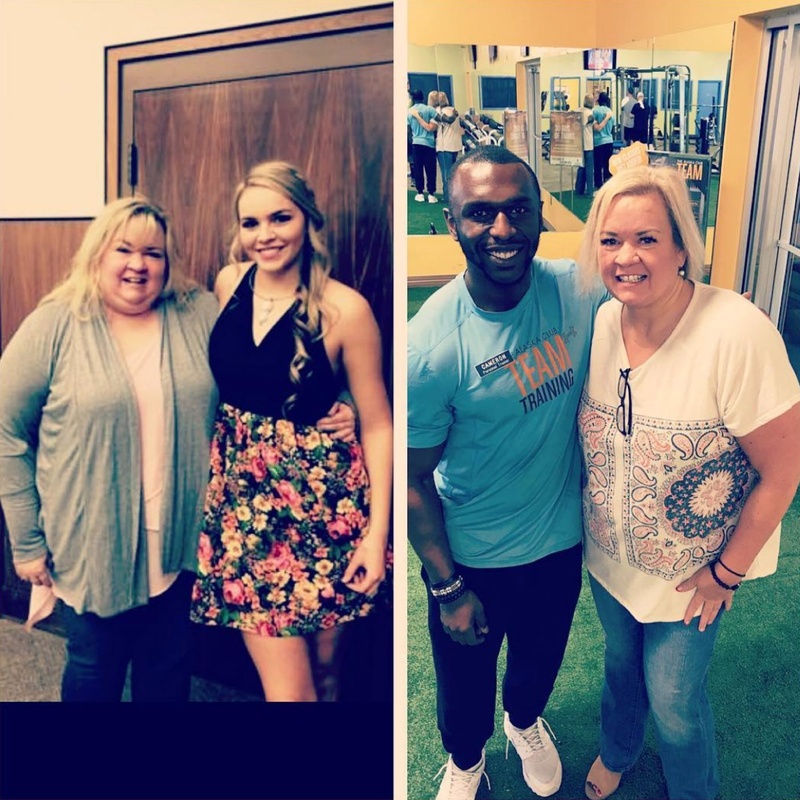 My daughter and I also signed up for Personal Trainers, we actually lost 1-2 lbs a week and then gained muscle weight with Breanne and Tanna at the Wasilla Location. The Classes for aerobics and cycle were awesome and grueling, but we loved every minute. It seems so strange to move away. The Alaska Club has been family. I am sure we will visit or move back: most do, and until then, thank you for being there for us and making a difference. I met Heather in November 2016 after I requested a trainer to help me work towards general fitness goals. I was 50 years old and someone who had been a workaholic for decades, juggling a large job and 60+ hour weeks. My job was largely sedentary as I worked in an office setting and most of my time was spent at a desk or in conference rooms and meetings. I had reached a point in my life where I had forgotten what it felt like to have muscles or a core, range of mobility, balance, strength and stamina. I love to fish but frankly, I was in terrible shape. 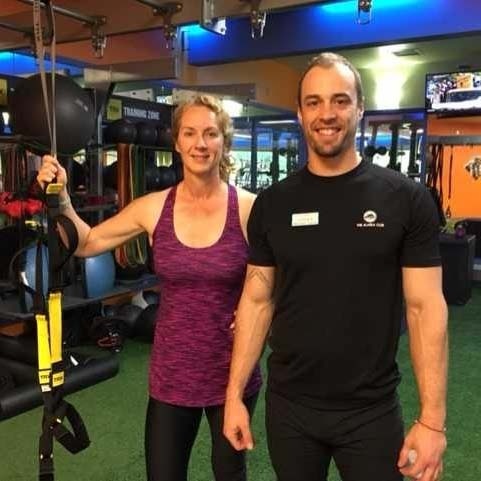 What I appreciate about Heather is she is a very clear communicator and listener, she is also responsive to her client's feedback and she adjusts the workout, as needed, to either challenge or tailor the workout to her client's capabilities or problem zones (old injuries or chronic pain areas, etc). In the past, I have worked with personal trainers at other gyms in the lower 48 who pushed me to the point of injury or designed the workout with maximum burn and intensity in mind. Heather pushed me but it felt like encouragement. She encouraged me to smile when that was the last thing I felt like doing! She shared healthy living tips and was overall, a wonderful coach, trainer, and friend who helped me learn how to be a healthier and active person both inside and outside of the gym. Last summer, I took my 81 year old mom salmon dip netting and I single-handedly had to push over 90 lbs of salmon in a cooler up the soft sand slope to the parking area - probably 100-150 feet. I felt like my heart would burst but I kept thinking about Heather saying "come on Marian, do this! You've got this!" and I somehow made it to the parking area without collapsing. I had many such moments throughout the past year and I was grateful to have worked towards better health and fitness. I have decided to end my personal training because it's been 19 months and it's time for me to own my exercise and healthier living. I appreciate all that Heather has done to help me get to this point and I highly recommend her to anyone who is looking to train with a trainer. Working with a personal trainer has been awesome! It was a fun process and I'm loving the results. I decided to add strength training to my fitness routine. I was intimidated because I hadn't lifted weights before, and I wanted to do it correctly so I wouldn't injure myself. I learned so much while working with Stephen. He listened to my goals and helped me feel comfortable taking on a new challenge. Now I am stronger overall and my posture is better. Training has translated into other areas as well. I love to swim and now my swim times are faster. I can bike and hike more easily, and my endurance is better. I've become a fan and will continue to keep strength as part of my routine. Super. Fun. Thank you, Stephen! "My name is Tuyet Smallwood and I am celebrating my one year anniversary with working out with my personal trainer, Andrea Steele. February 26, 2016 is the date that changed my life. I finally summoned up the courage and approached Andrea and told her I had been interested in getting a personal trainer after I had been observing her over several weeks as she worked with one of her clients. I asked her how I could get started with registering for a personal trainer and advised her that I had no idea what I was doing. Immediately, Andrea was very engaged and gave me her phone number and scheduled me for an appointment with her the very next day! "On that day, she asked me about what my goals were, what I had been doing [i.e. physical activities and experiences], diet, and overall health. Honestly, I dreaded this moment: taking measurements! She assured me that we needed a benchmark to measure our progress and track changes. I knew she was right but I felt humbled and ashamed at my starting numbers… UGH…but I truly appreciated her reassuring me that she was not judgmental. She has been so supportive and understanding! "Over the course of the year, I have learned so much from Andrea! She introduced me to machines, equipment, technique, form, vocabulary, and routines. She has completely released me from my “run of the mill routine” and placed me outside of my comfort zone. Through the years, I knew I had to get out of my usual treadmill rut; however, I always felt justified staying there because I thought I was doing “something” and yet I also knew that that “something” wasn’t helping me see any progressive change: I have been in Weight Watchers for about 8 years. My initial starting weight was 148.4 lbs. My best weight in Weight Watchers was at 136 lbs. That was fine and life was great…..but then I broke my leg in March 2015. Unfortunately, I gained weight during the recovery phase. I never returned to 136 lbs. When I first started seeing Andrea, my weight was 146.6 lbs. [A quick side note: my heaviest weight has been a startling 152.8 lbs.] I was clearly unhappy with myself and what was [not] happening. "As Andrea worked with me, I started noticing changes. Other people started noticing changes. First, it was a side- comment here, a small compliment there, a brief conversation here. My clothes started to fit, I actually had to buy smaller clothes, I could wear some of my older clothes in the back of the closet, my overall appearance was changing, and I started feeling better. A year later, my weight is now 130 lbs.! I brag about how awesome Andrea is! I brag about how incredibly patient Andrea is! I tell everyone how enthusiastic she is! I show everyone her fitness – music videos that she sends me and everyone is so amazed at what we can do! She motivates me to stay on course. Andrea has obviously changed my outlook on how to work on exercising, weight change, and nutrition…but she has also changed how I look at myself. I now have confidence in myself and I can set challenges and goals that I would have never done on my own. Running intervals on the treadmill at death defying speeds!!! Who knew?? She is always showing me new things and mixes up the routine with different activities. Am I still afraid and cautious? Of course, I am … but I am also excited and ready because I have a new level of self-esteem that I have gained from Andrea’s coaching. "She has taught me that I can do anything that I can set my sights on: I just need to give it the effort and if at first, I don’t succeed then I should just keep trying! A year later, I know I can push myself beyond a 100% and aim for 110%! I am excited for the next year! My only regret is that I didn’t do this sooner!" "I have always been a generally fit person favoring long distance running and cycling. Strength, balance, and fluid movement were my weaknesses. After years of endurance sports without proper strength training, I start to feel the wear and tear around my large joints, especially my hips. 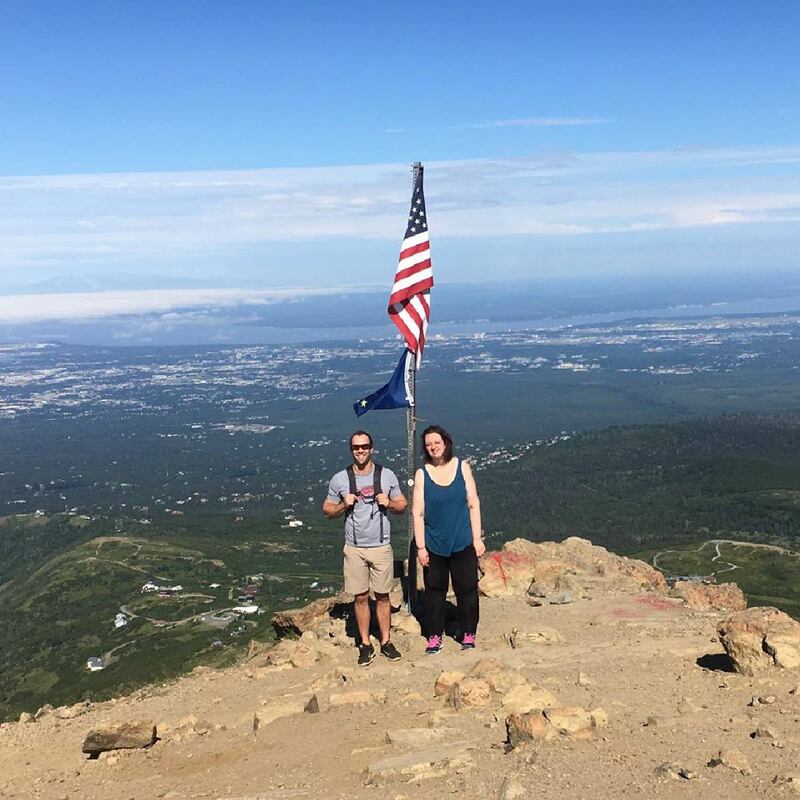 "As part of my postpartum recovery, I started going to The Alaska Club Team Training in October 2016 with the encouragement from my friend Heather Beat. I became a regular immediately. Team Training works for me, because it’s a fun and challenging strength based program with the perks of personal attention from fitness professionals. It’s been a year since I started going to Team Training, I can see clear improvements in my strength and movement. Because of the stronger core muscles and better agility, I have also improved my timing in running and cycling. Huge kudos to my trainers: Heather Beat, Carlo Pastena, and Jordan Edwards." Amy and I have been working together for 6 months now and she's been nothing but an inspiration. She began her journey over a year ago and so far has lost over 100lbs and nearly 10% body fat! She's committed to the process and continues to strive forward for her success. 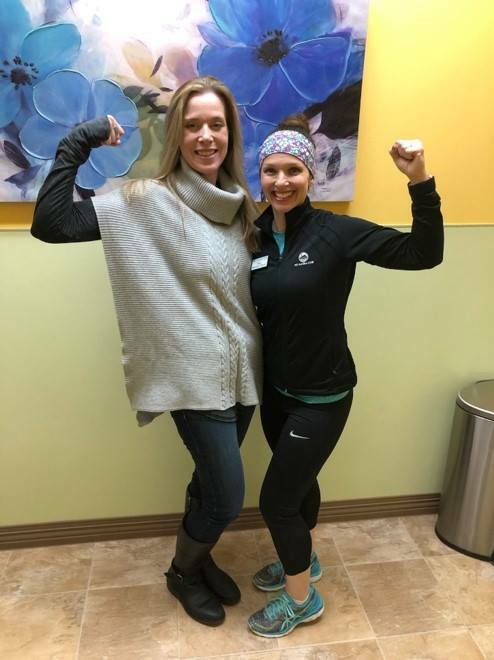 Maria shares her journey: "In November, I had weight loss surgery (Roux-En-Y Gastric Bypass) and I knew that in order to achieve long term success, I needed to incorporate exercise into my life. I signed up for personal training in January. I weighed about 390 lb and I was extremely intimidated. I felt like I didn’t ‘belong’ in a gym environment. I was scared to fail." 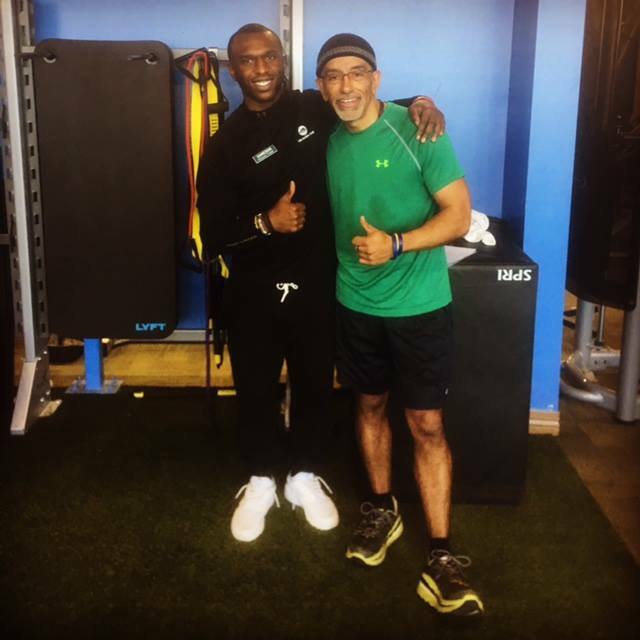 "My trainer Stephen set me at ease right away. He helped me stay positive and was very encouraging. Each month he set lofty goals, and with his help I have achieved every one. I now look forward to coming to the gym. I am able to do things that I NEVER thought I’d be able to do. My current weight is 335lbs. I know that personal training has been essential to my success. I have so much more energy, and confidence that spills over into every aspect of my life. I have come so far in the last four months, and I am very thankful for Stephen’s support and guidance. I’m excited to continue working with him! I recommend Personal Training to everyone, but especially to weight loss surgery patients, or other people who are intimidated by the gym." 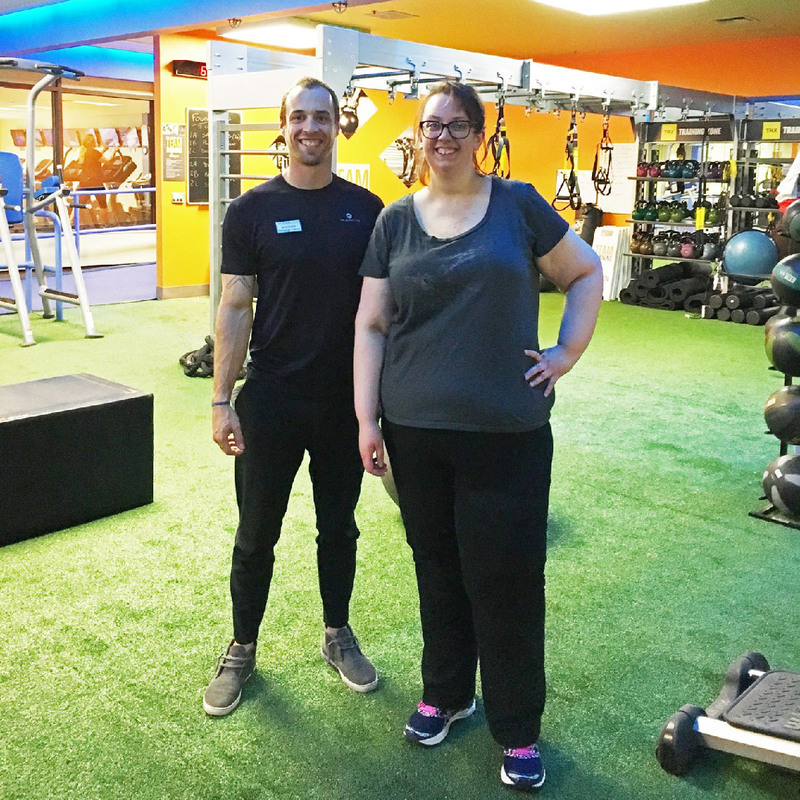 Here is Maria's story about how her trainer Stephen helped her achieve one of her biggest goals yet! "This July I achieved my biggest goal since I set out on this weight loss journey. Stephen is always challenging me to think about my fitness goals, and when I mentioned that I wanted to climb a mountain, he was immediately on board. We climbed Flattop! He took time out of his own schedule to support me, and encouraged me every (difficult!) step of the way. I really appreciate that Stephen truly cares, and is just as committed to my success as I am. When I started personal training I weighted 390 lbs. I am now 268lbs! I know I would never have been able to climb Flattop without the training and encouragement I received from my excellent personal trainer. Thanks Stephen!" Thanks for sharing Maria! It is always a pleasure to see our members crush their goals. keep climbing those mountains! Thanks so much for having Heather as a valuable member of your team. Coming into training, Sam wanted to gain upper body strength and lose body fat. In 4 months of hard work and dedication, Sam went from 22% body fat to 9% and pushes 50 lb dumbbells! He wants to continue working on his upper body strength and gain more control and understanding over his diet which will help him achieve his desired body fat results. Way to go Sam, keep crushing those goals! I have been in reasonably good shape most of my life (I’m a field biologist), but when I reached my 50s, the weight really started to pack on. When the scale read 156 lbs for a 5’3” frame, I had a sort of freak-out moment where I realized if I didn’t change course soon, I could get to the point where losing weight is a real challenge (my sister had bariatric surgery and my brother is obese, so some family history with this issue). Plus, being a biologist, I was aware of all the health problems associated with being overweight. So I started taking the 6:15am Insanity® class at the Alaska Club with your instructor Jonal and although my whole body was sore for the first 2 weeks, it was the kind of soreness that says you are working all of your muscles; I loved it. Nevertheless, I still felt like something was missing. 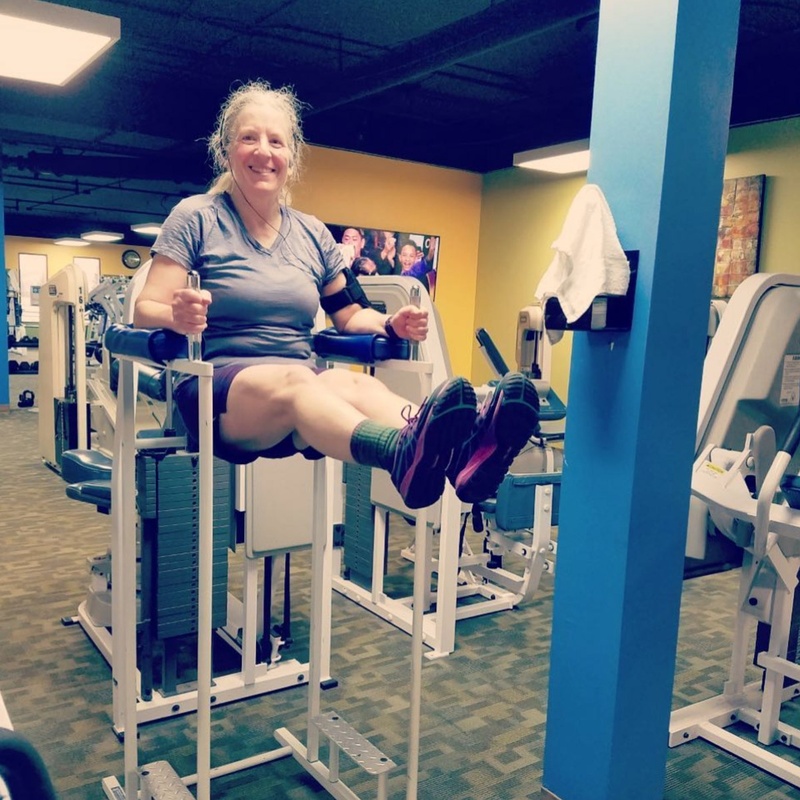 I decided to take the plunge and learn how to work with free weights, with personal trainer June Dewese. Less than a year into the training, I broke my ankle skiing and had to have surgery and a cast. I was so motivated to stick with my training that I continued to exercise. June showed me how to do modified exercises with my cast on. Then June and I worked together to get my strength back for when the cast came off as well as after the cast came off. Within 3½ months, I was back to hiking cross-country in the Susitna River valley. I am convinced my rapid recovery was due to my strength training. At age 55, I am 15 lbs lighter than when I started, have lost 8 inches in my waist, arms, and thighs, lost 5% body fat but gained lean muscle throughout my body and I am probably in the best shape I have ever been in. A recent bone density scan revealed I am still in the normal range, which for women my age is fantastic. My fitness training has been a life-changing experience that inspires me to set new goals and find ways to stay active wherever I am. I joined the Alaska Club about 7 years ago with the intention of improving my health. My job at the time, which was once active, turned sedentary. My diet along with other habits took a nose dive. I was smoking, eating fast food almost everyday, and enjoyed my evening cocktails (yes, plural). For the first five years, I would go to the gym pretty regularly, but unfocused and with no goals or plan in mind. I had heard that "showing up was 90% of the battle". Not true! The only gains I made were in my waistline and my cholesterol. In late 2015 I decided enough was enough. I was 60 pounds over weight, and could not walk up a flight of stairs without losing my wind. So, I got a Personal Trainer with the hopes of him helping me stay focused, accountable, and provide me with a plan. What I actually got was so much more. Carlo has helped me in so many ways. Yes he helps me be accountable, yes he has a plan for me, and he checks in frequently even when I'm not at the gym to help me stay focused. He and the other Trainers at South have become friends. They are truly interested in helping me be the best me I can be. I am learning that my health is not a quick fix, but a journey. I'm now excited to see just where my journey leads. I had two heart episodes in July and August of 2016. I went and saw Dr. Skulley and he determined it was a weight issue. I was 5'4 and 240 lbs. My daughter is a dietician student ( graduate in May) and so I combined good eating with proper exercise and the results have been fantastic. I will always be very thankful for the Alaska Club and how it was instrumental in offering varieties of exercising options to keep me motivated (3× week stepper, 2x swim, 1x jump rope). Great job, Robb! Keep it up!